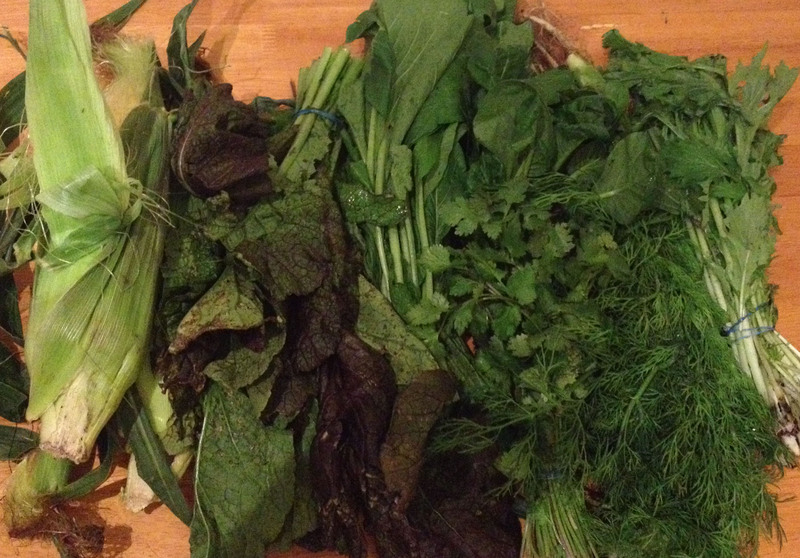 CSA Tuesday: It’s a Wrap! 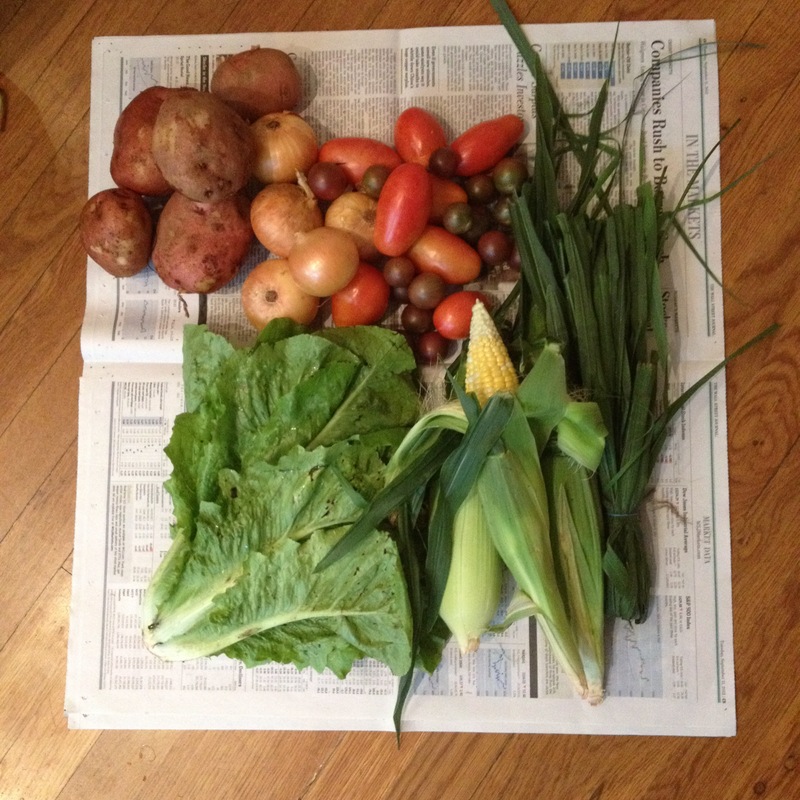 This week marks the end of our CSA series for the season. I have mixed reviews about it. On one hand, I did become acquainted with a few new vegetables, and I did need to flex a little culinary muscle to use some of the items I received. On the other hand, there was a lot of waste. Things that went bad before I could get to them, and things I just didn’t like that much that kept on coming. 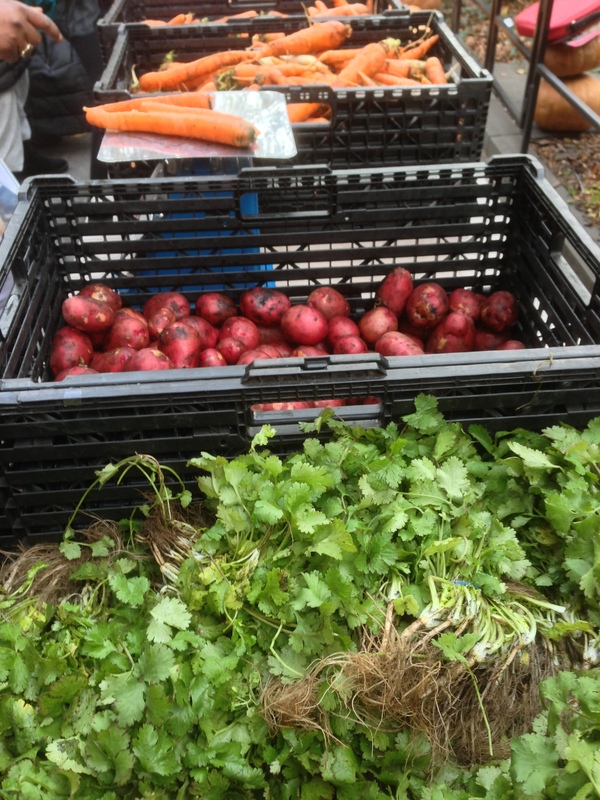 This week we received more beets ( yum), lettuce, spinach and pumpkins (hence the things that just keep coming!). We also got butternut squash and garlic. I have 4 day weekend coming up, so I hope to be creative and use it all up. Roasted beets in a salad? That’s a no-brainer! 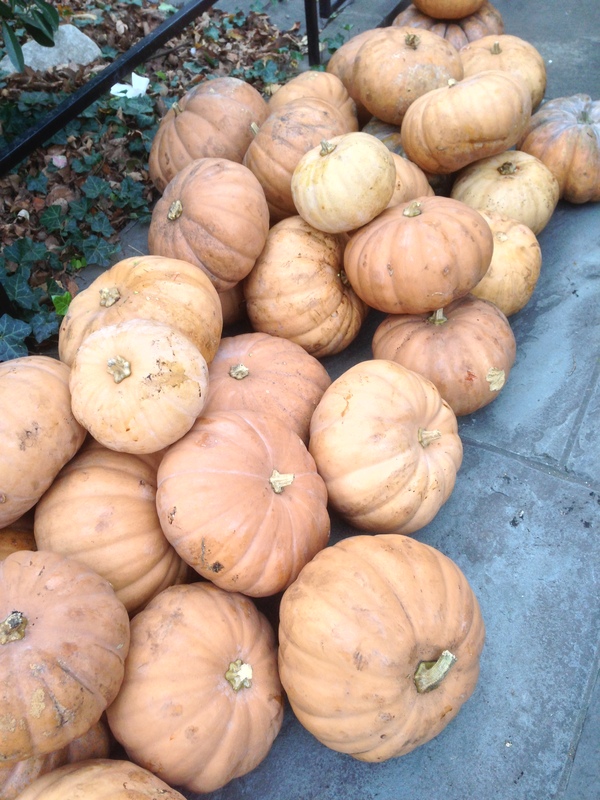 People were leaving the pumpkins behind…they are heavy to carry, and harder to prepare. Late in the season pumpkins are not always so tasty. I will give them a try, one last time! It’s CSA day today. 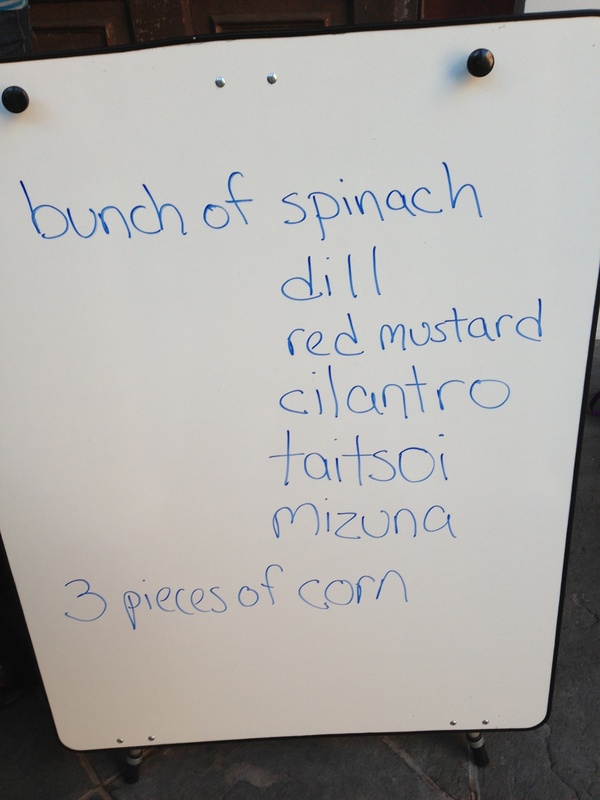 Since fresh food is still not fully available in downtown Manhattan since the storm, this week’s produce share was highly anticipated. 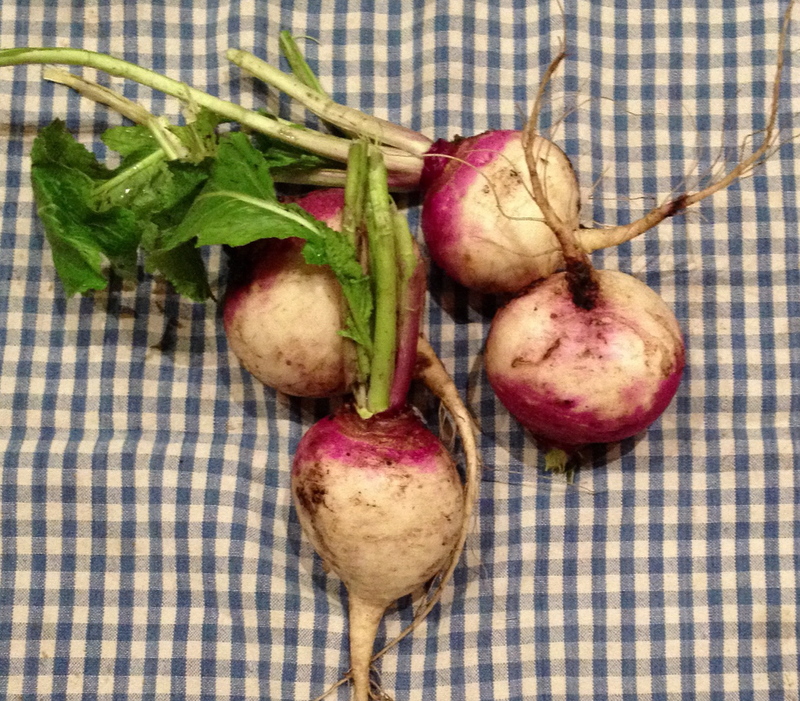 We got a butternut squash, 4 onions, lettuce, collards, red radishes, black radishes, and sage. 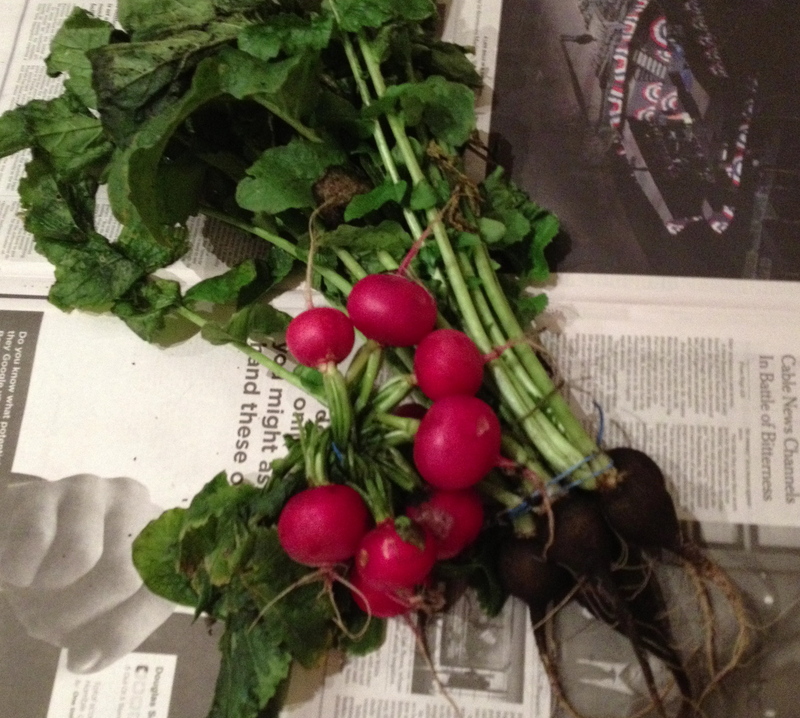 I am not familiar with black radishes, so I am looking forward to experimenting with them. Since the storm forced me to throw away several weeks worth of CSA soups from the freezer, I will be happy to make my next batch this weekend. Unless the squash becomes ravioli first, which would be lovely with a little sage butter. A lettuce salad with mixed radishes perhaps? That would leave just the collards, which are not a favorite around here. 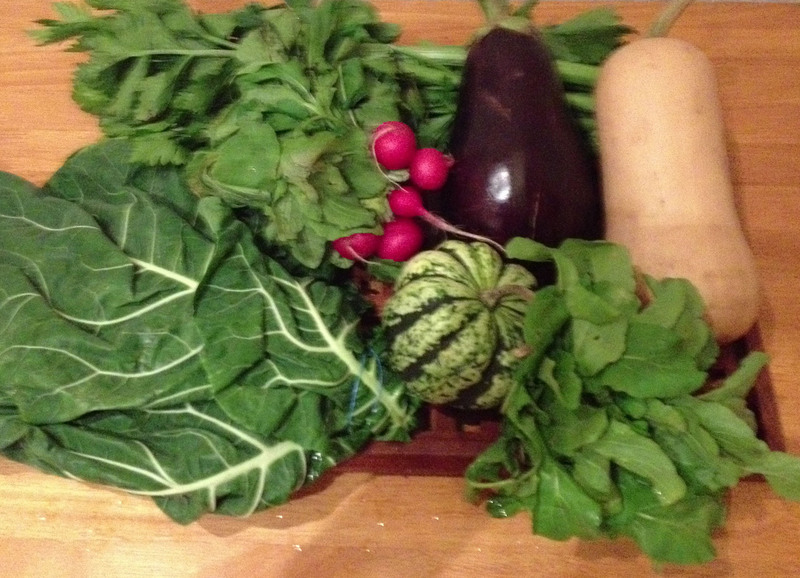 Let’s see what happens as the week wears on..
It’s CSA Tuesday again, and this week’s selection is a little different. I am getting a bit backed up in the pumpkin department. Pie? Ravioli? Halloween decor? 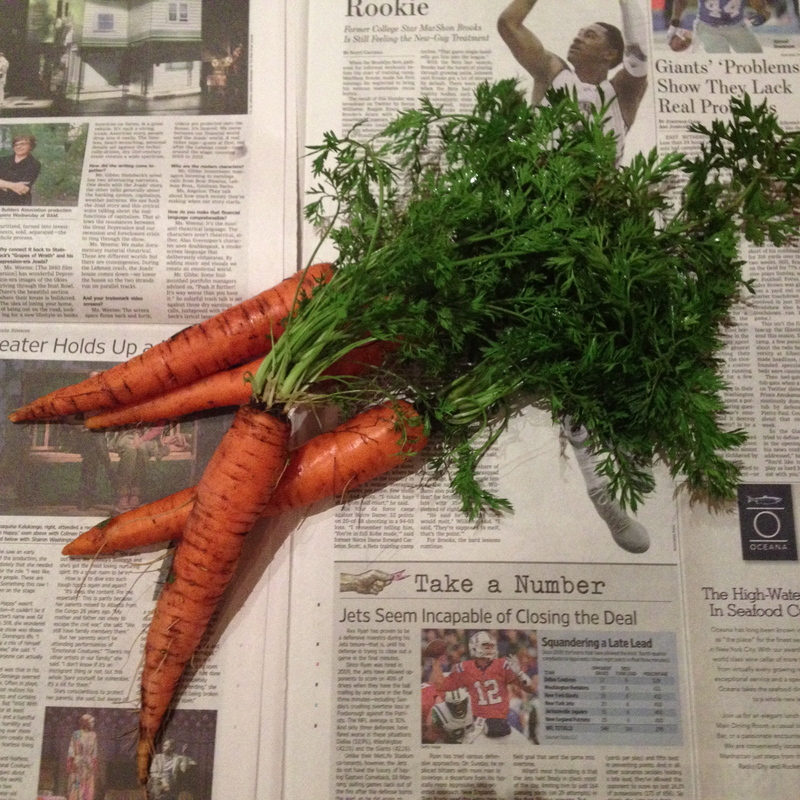 We got some carrots, parsley, a giant cabbage and some broccoli. 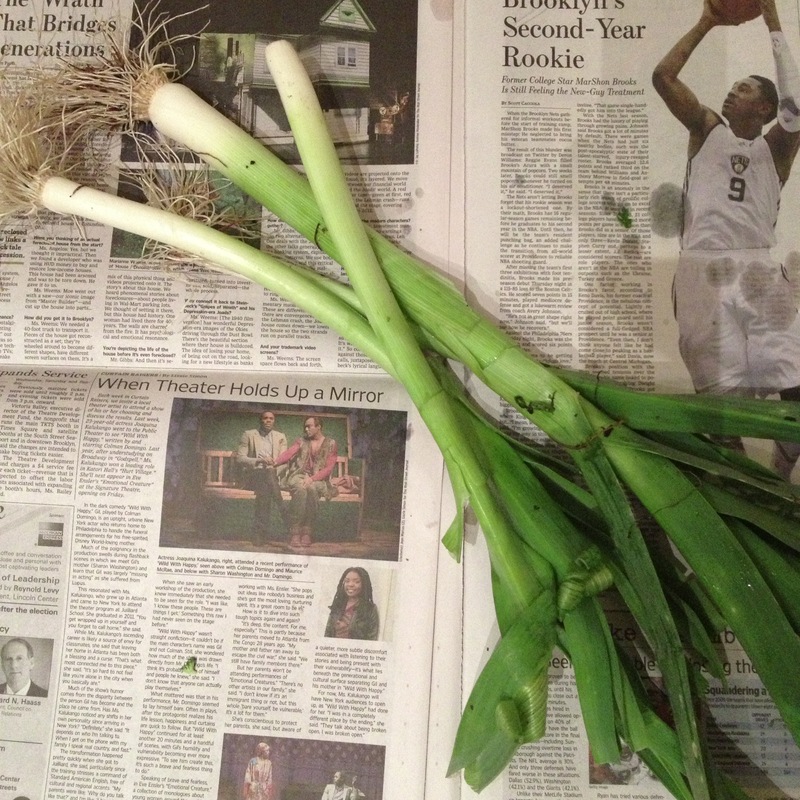 We also got 4 enormous leeks. 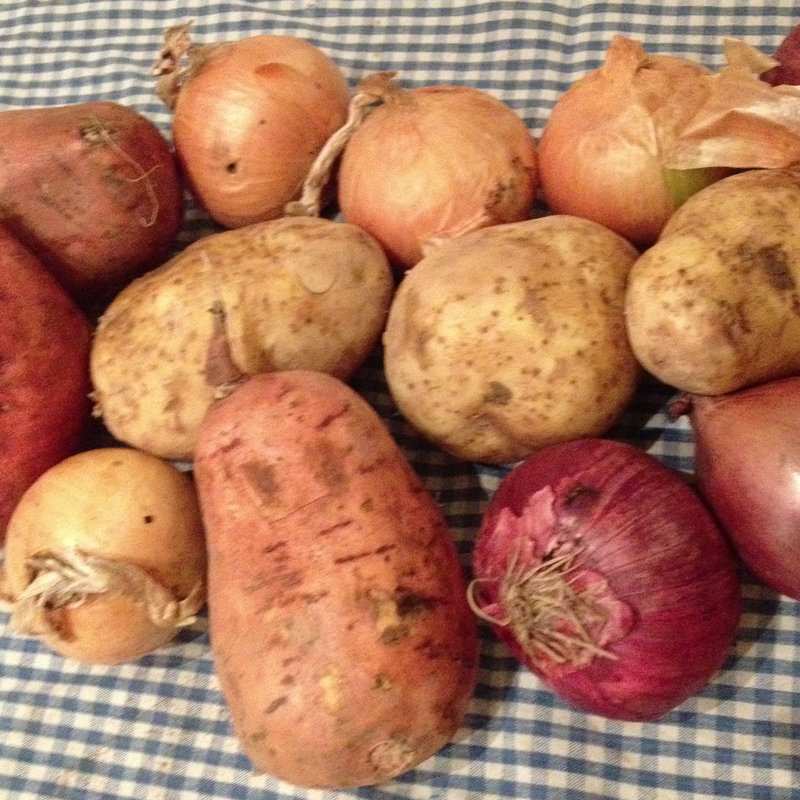 While I am sure some of this will become CSA soup by Sunday night, I intend to get creative with some of the rest. It’s CSA Tuesday, and I am a little unexcited about today’s selection. 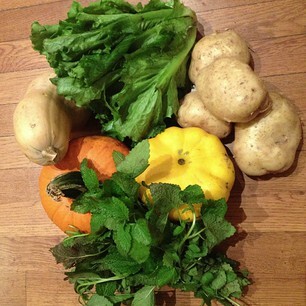 There is a head of lettuce, some potatoes, 2 types of squash and a pumpkin. 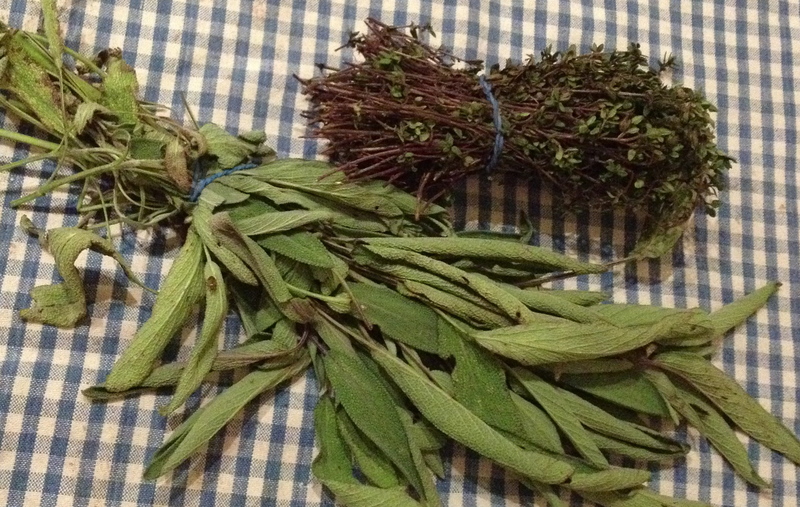 There is an herb that looks like mint and smells lemony. I think its lemon balm. 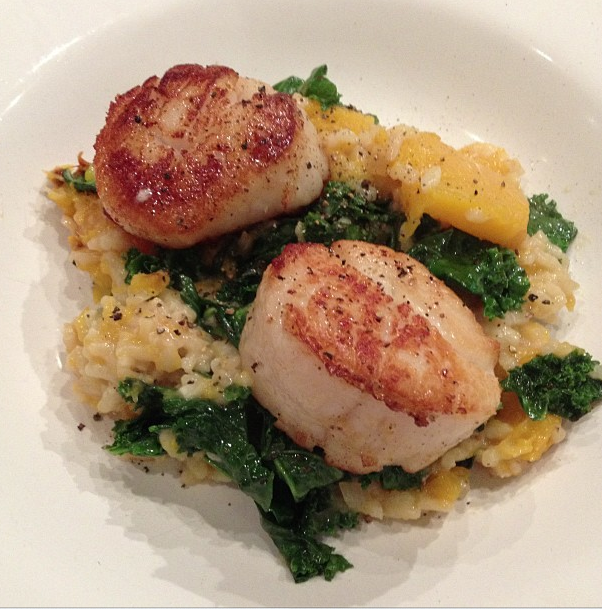 I will try that tonight with some sautéed seafood and see how it goes. 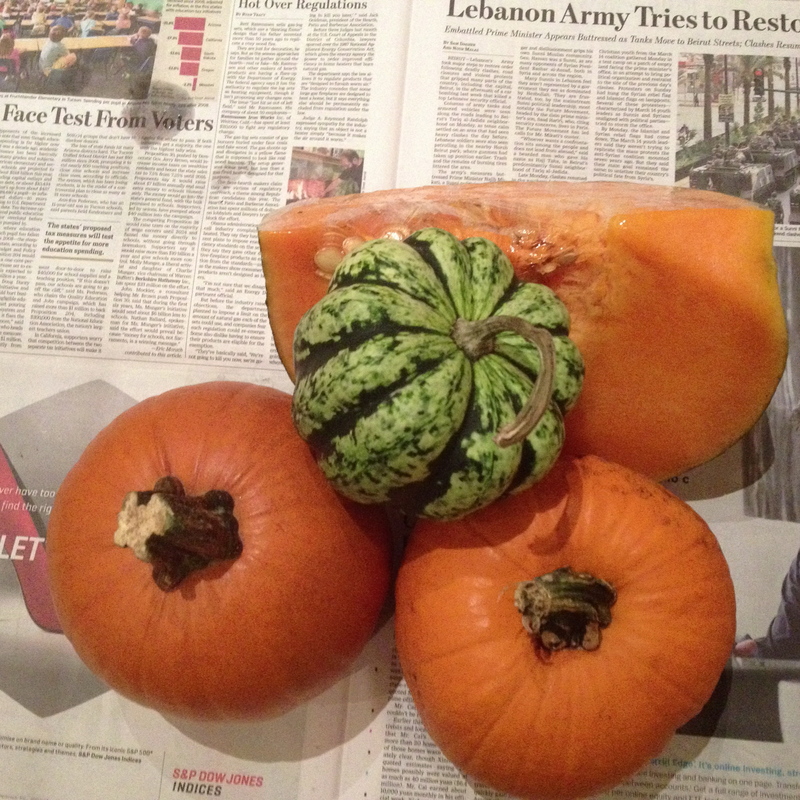 The pumpkin will hopefully yield a small pie, something B has been requesting since last Thanksgiving. Any ideas for the squash? I just got my first CSA package and I am so excited! 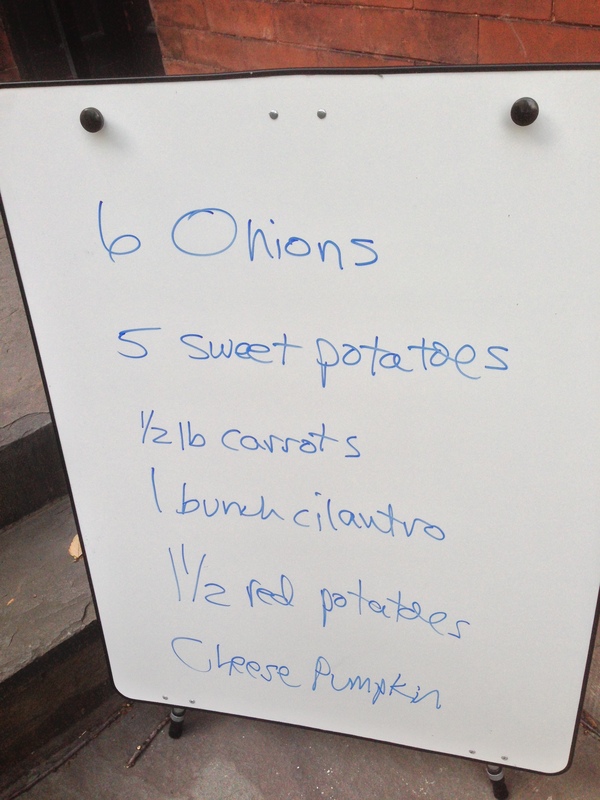 CSA stands for Community Supported Agriculture, and each Tuesday between now and mid December, I will pick up a selection of produce, which comes from a local farm. Hmmm. Lemongrass. There is the challenge I have been hoping for! When I signed up for this program last spring, my goals were to support a local farm, always have fresh produce on hand, and to expand my horizons by having to experiment with a vegetable or fruit I was not used to using. I am going to spend a little quality time with my Asian-fusion cookbooks, and will share my recipe(s) using lemongrass with you shortly.